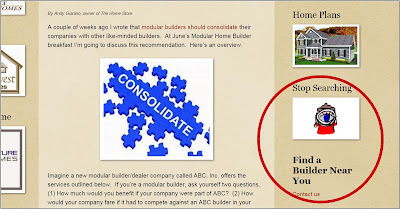 For years builders have asked why I don't have a contact form that allows prospective new home buyers find a modular home builder. I kept telling them that the time was not right. But now it's the right time. Yesterday I put up a form that should get a few leads for me to distribute to builders/factories throughout the US. If anyone knows that importance of getting leads to builders quickly, it's me. I was a sales rep for many years and I know that all it could take for a builder to get a contract on a new home is that the lead get to them within hours. That is what I promise I will do. Every single day of the year. I will send these leads to every builder that services the state requested and surrounding states that has supported my blog by placing their logo on my site. Within a day the leads have started to arrive. If you don't get a lead right away, it simply means that the lead wanted to build in a state you don't serve. Hang in there. 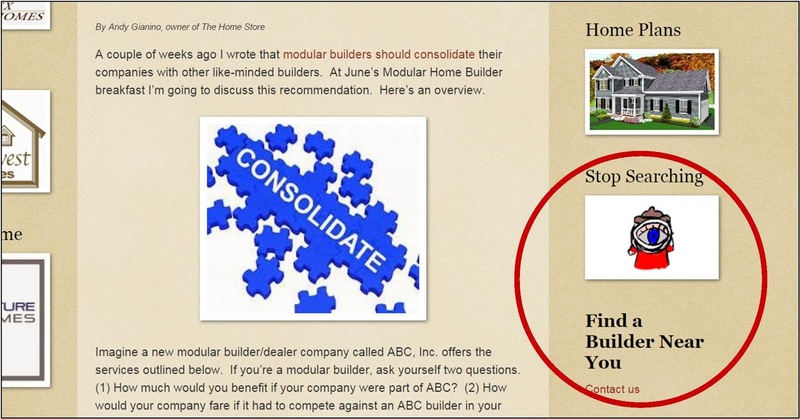 No builder or factory will get a lead that does not support this blog and there is NO COST to you, the builder or factory. All I ask is if you build a house from one of my leads is to buy me a cup of coffee; cream, no sugar.